Albert Weinberg, the Belgian artist behind the long-running album series Dan Cooper, passed away on September 29. He was 89 years old. Weinberg was born in Liège, Belgium in 1922. He studied law before World War 2, planning on a career in international law before the disruptions of war brought to Europe. After the war, he worked odd jobs and eventually found more sustained employment as an artist, initially signing on for work as an assistant to one of the great artists of French-language realist comics, Victor Hubinon. In a scenario that should be familiar to young cartoonists today, Weinberg became part of a recognized, rising generation of cartoonists working in Brussels in the late 1940s and for a time shared a house with some of his fellow new breed. The artist's first assignment for Hubinon was assisting the established cartoonist on his iconic Buck Danny series, and his first major gig at the studio was a total takeover of Hubinon's series Joe La Tornade. A prolific illustrator for magazines and newspapers, Weinberg contributed art to two major science fiction series for the short-lived post-war publishing imprint Heroic-Albums from the late 1940s into the 1950s: Luc Condor (which ran from 1949 to 1954) and Roc Meteor. Weinberg began working for Tintin in 1950. He is credited with having contributed to various group efforts on projects for the magazine and for contributing in anonymous fashion to projects by Edgar Pierre Jacobs and Paul Cuvelier. 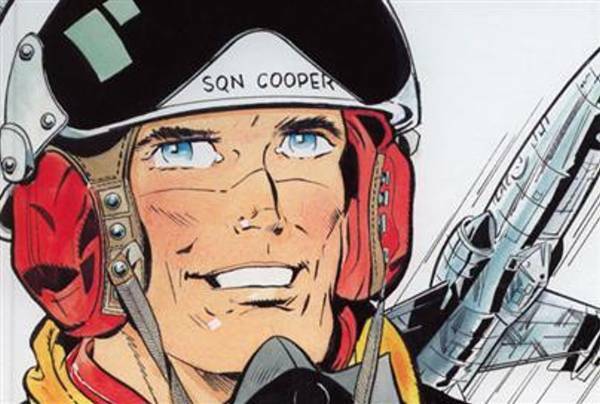 Weinberg is best and most rightly known for the creation of the long-running Dan Cooper series, for which he would eventually create some 2000 pages of comics art. 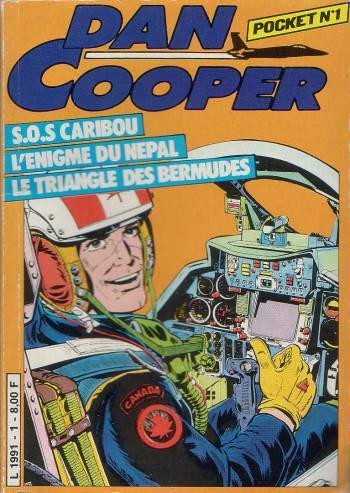 Cooper was a pilot in the Royal Canadian Air Force, and his adventures featured both Weinberg's lauded drawings of aircraft but elements that bordered on science fiction. A key few volumes in the first eight featured contributions by former Weinberg collaborator Jean-Michel Charlier, who I believe is primarily credited for fleshing out the supporting cast. The series launched in 1954 as a serial with the storyline Le Triangle Bleu and in 1957 began publication with that story in album form. The series would run to 1992 under its primary creator, going through a pretty standard progression of off-and-on production, diversification in terms of talent involved, the occasional spin-off and multiple publishers. Beginning in 2000, Editions du Lombard re-published the entire series of Dan Cooper albums in twelve books. Twenty-five million Dan Cooper books have been sold, and the work was translated into fifteen languages. In 1962, Weinberg created his second most prominent series, Alain Landier, and in 1973 his Baraccuda appeared in the German magazine Zack. He created two series for the Belgian daily Le Soir: The Viscount and L'Aquanautes. Weinberg worked with consistency until about 2004 on short stories; his last work was published in 2010. Weinberg lived for a quarter century in Geneva. His daughter took to a career in his road not taken: international law.